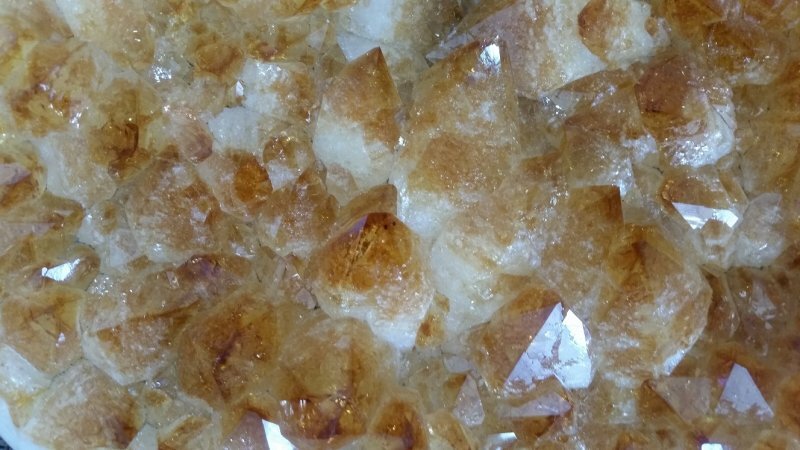 A silicon dioxide mineral with a Hardness of 7-7.5 This piece is from Brazil. 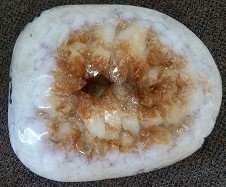 It is an amazing piece as it is medallion shaped with polished White Agate surrounding the crystals. Size is 13.5 by 11.5 by 5.5 inches. 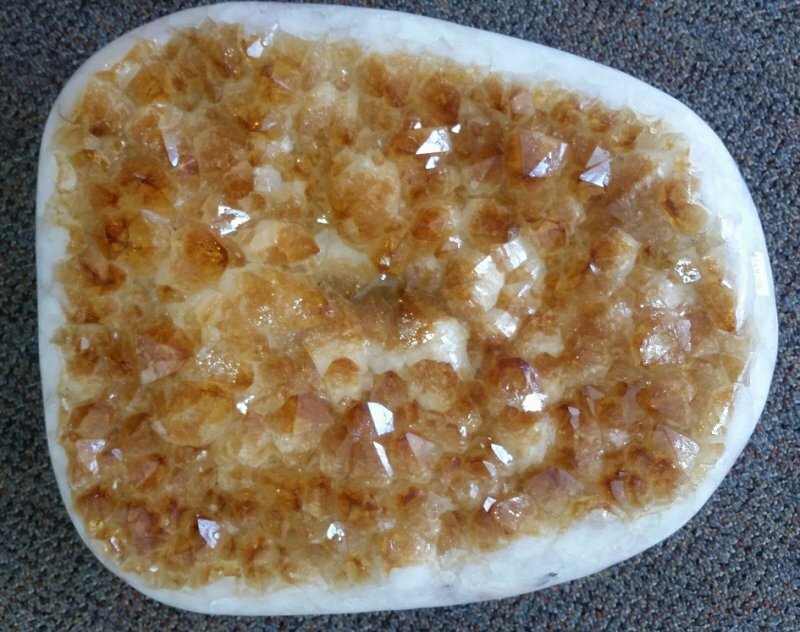 (Some crystals are over 1.5 inches) on both sides and there is a vortex of energy that is palpable in this piece.